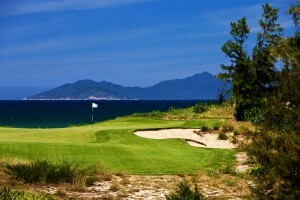 In a very short period of time, Vietnam has become the place to visit not only as a fascinating country, but now as a great golfing destination too. 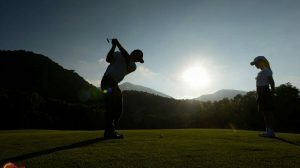 Currently there are approximately thirty three golf courses around the country, and a staggering sixty five new tracks are already in the pipeline. So if you are planning a golf vacation let us give you an idea of what is available here! Firstly getting around is relatively easy with flights available from across the country’s forty airports. Remember Vietnam is actually a relatively small country, so flying from say the capital Hanoi in the North down to Saigon in the South takes only around 2 hours. Alternatively a flight from either Hanoi or Saigon to the beaches of Da Nang is a mere 1 hour 15 minutes by plane. Many of you may wish to combine the culture and old streets of the capital Hanoi or the fun of the more modern city of Saigon (now known as Ho Chi Minh City HCMC) with a relaxing beach holiday in Da Nang, known as the Golf Coast of Vietnam. 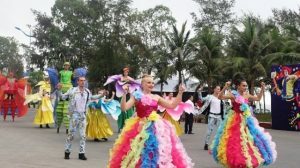 Sea, fun and culture altogether! Of course we are perhaps biased about golf here, but don’t just take are word for it. 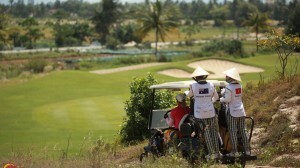 Recently, Vietnam was named as the “Undiscovered Golf Destination of the Year” by the International Association of Golf Travel Operators (IAGTO). With its fascinating history, ancient culture, superb climate, and now offering spectacular championship golf courses designed for the golfer, Vietnam delivers both on and off the course. Most visitors to Vietnam will be seduced by the beauty of the country’s natural setting. 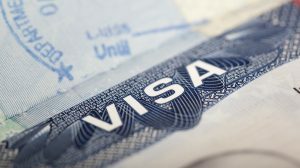 You have the variations of the Red River Delta in the north, the famous Mekong Delta in the south and let’s not forget the spectacular coastline stretching along the whole country, with a patchwork of unique green rice paddies tended by smiling farmers wearing those memorable conical hats. 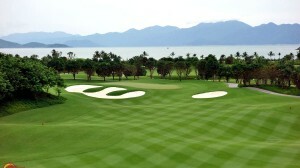 You are literally spoilt for choice when it comes to selecting your golf courses. 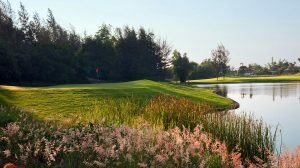 We have listed and reviewed them all on our website here, so you can find everything you need to know and see photos of the courses before you decide where to play. 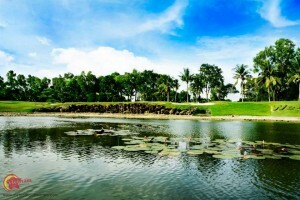 Among the existing golf courses, there are five courses in Ho Chi Minh City including Vietnam Country Club, Long Than Golf Club Song Be Golf Resort, and Twin Doves Golf Club. King’s Island Golf Club, Chi Line Star Golf & Country Club, Tam Dao Golf Club, and Van Tri Golf Club are the best golf course in the North and near to Hanoi. 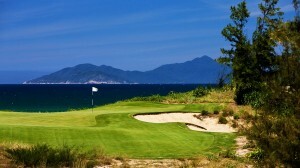 Da Nang is the newest Vietnam golf destination and perhaps two of the best courses in Vietnam are located there: DaNang Golf Club and Montgomerie Links Vietnam. 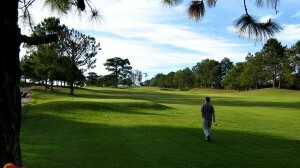 Dalat in the highlands of Central Vietnam with its old world colonial-styled buildings boasts the unique Dalat Palace Golf Club – the only course in Asia to feature bent grass tee boxes, fairways and greens. 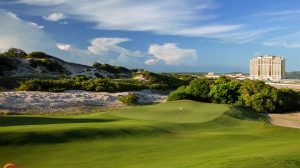 Then there are the seaside resorts of Pham Thief and Dung Tau also featuring top resort golf courses including Ocean Dunes and Sea Links. 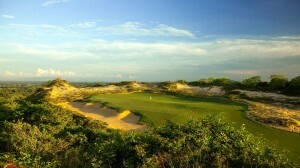 And finally voted the ‘Worlds Best New Golf Course’ is the stunning Greg Norman designed links course simply known as The Bluffs, at a sleepy seaside village called Ho Tram around 75 minutes drive SE of Saigon. 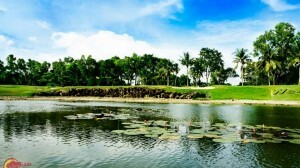 This was the venue for the recent Asia Tours Vietnam Open. You are literally spoilt for choice, however don’t worry.  If you are not sure where to start then let us help and advice you on creating a very memorable golfing vacation to Vietnam.